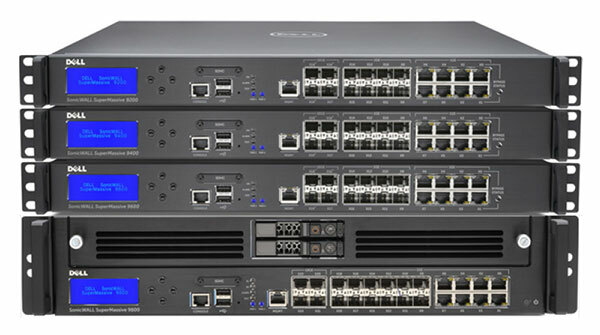 Designed with leading-edge threat inspection technology and hardware processing power, SonicWALL SuperMassive high end firewalls support today’s largest, most complex and demanding security use cases. With comprehensive security services including sandboxing, SSL inspection, intrusion prevention, anti-malware, application identification and content filtering, SuperMassive is the ideal next-generation high end firewall for securing large distributed enterprises and data centers. The SuperMassive 9200 Next-Generation Firewall (NGFW) is designed to deliver deep security to your enterprise at multi-gigabit speeds. The SuperMassive 9400 Next-Generation Firewall (NGFW) is designed to deliver deep security to your enterprise at multi-gigabit speeds. The SuperMassive 9600 Next-Generation Firewall (NGFW) is designed to deliver deep security to your enterprise at multi-gigabit speeds. The SuperMassive 9800 Next-Generation Firewall (NGFW) is designed to deliver deep security to your enterprise at multi-gigabit speeds. Scale your security for data center modernization To enable the growing digital business, expectations for IT organizations to lead and deliver value, responsiveness and security has reached an all-time high. Innovative services plus increased data and capacity requirements compel IT leaders to address new operational challenges through data center modernization. SonicWALL provides a network-based model for scaling network security to solve complex and demanding data center operations - all at a low cost. Modern threats take advantage of all areas of your network to succeed. In order to stop advanced attacks, networks need to be divided into security segments to contain and mitigate threat propagation. However, defining logical segments is only part of the solution. Effective segmentation requires an integrated, dynamic network security approach to comprehensively enforce the integrity of each and every segment, and do so manageably and affordably.